Gibson London 'Ludgate' summer style linen/cotton blazer jacket. Tailored Mod touches include the Retro notch lapel, fitted cut and the 1960s inspired colour pop Polka Dot trims. 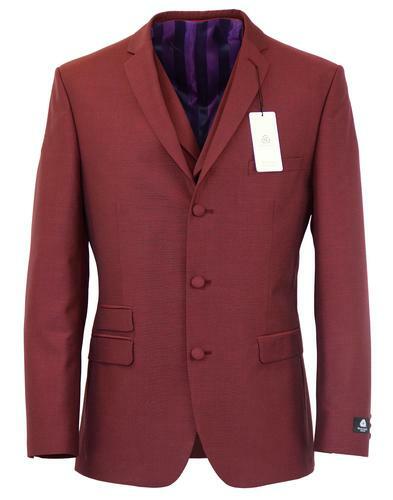 A striking textured linen 2 button blazer jacket - 'Ludgate' by Gibson London. 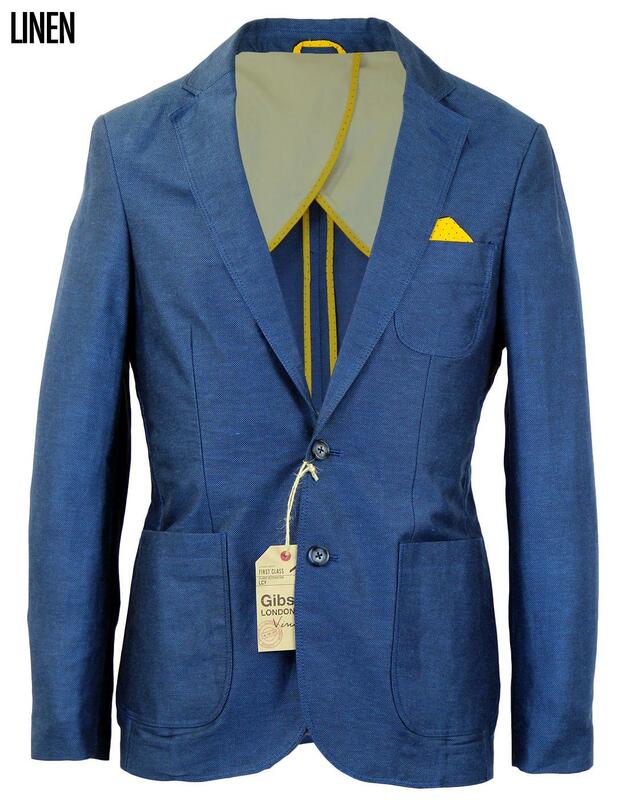 Gibson London 'Ludgate' tailored 2 button linen blazer jacket in cobalt blue. Retro notch lapel, patch pockets to sides and to chest. Vintage marble-esque tonal buttons to front and to non-working cuffs. Contrast interior half lining finished with yellow Sixties Mod Polka Dot trims. The chest pocket can be accentuated by leaving the pin dot pocket bag fabric exposed for that neat handkerchief effect. Nice rounded hem, centre vent to reverse. Tonal stitch finish. 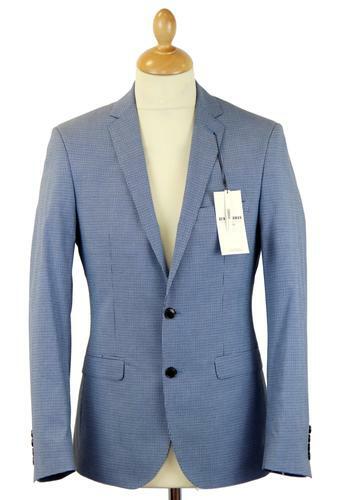 The Gibson London linen 2 button blazer adds a refreshing edge to any smart-casual ensemble. 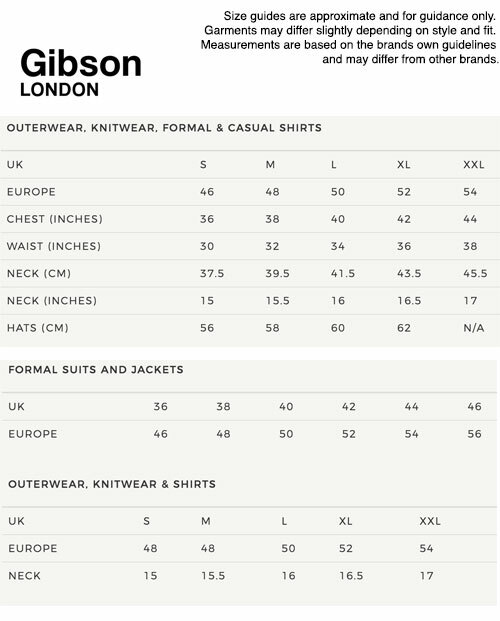 Key Points: Gibson London Linen 2 Button Blazer Jacket. Composition: 62% Linen, 38% Cotton. Lining 1: 100% Cotton, Lining 2: 100% Polyester. 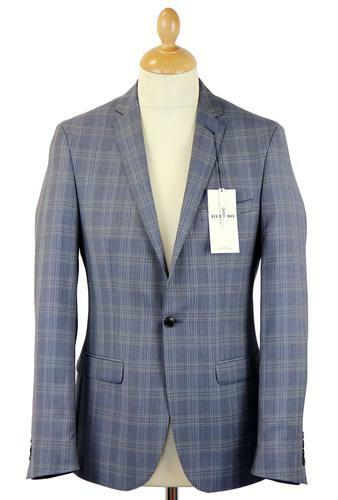 SKU: G15144LJP Gibson London Linen Blazer.